TI’s OMAP-L138 C6-Integra DSP+ARM processor is a low-power applications processor based on an ARM926EJ-S and a C674x DSP core. It is designed for applications that require an integrated mixed-processor solution, rich user interfaces, and high level of processing performance. As part of its MityDSP family of System on Modules (SOMs), Critical Link provides the MityDSP-L138 (F) an embedded CPU engine based on the OMAP-L138. 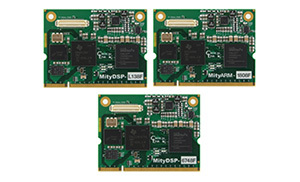 The MityDSP-L138 utilizes the OMAP-L138’s dual-core architecture to provide the benefits of both floating point DSP and Reduced Instruction Set Computer (RISC) technologies. 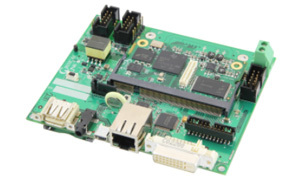 It also includes an optional Xilinx Spartan-6 FPGA for expanded I/O, co-processing, and signal processing, or to support high speed data acquisition. 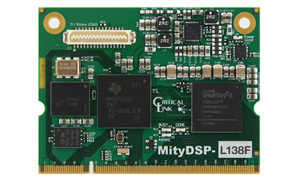 The MityDSP-L138 also comes with Flash (256 MB NAND, 8 MB NOR) and 128 MB DDR2 RAM.